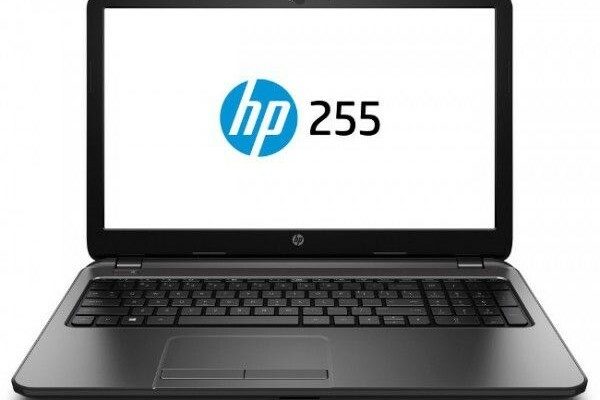 Hewlett-Packard Company published the specifications of the upcoming notebook HP 255 G4, which will replace the HP 255 G3. According to available data, the novelty will be equipped with two new accelerators calculation performed by AMD. Current model uses a high-performance APU A8-6410, and in the fourth generation of his laptop replace A8-7410. In the entry-level segment to replace the chip processor E1-6010 will E1-6015. Also, the latest model has been seen in the characteristics of notebook HP 245 G4. As follows from the specification sheet HP 255 G4, microchip AMD E1-6015 carries two cores and integrated graphics Radeon R2 GPU; the last level cache is 1 MB. NEW operates at a clock frequency of 1.4 GHz. Its power indicator does not specify, however, most likely, he will not differ from that of its predecessor (10 W). Masthead accelerator A8-7410, as we know, belongs to a generation Carrizo-L. There will be available four cores, 4 MB of cache and graphics subsystem Radeon R5. The operating frequency of 2.2 GHz, which is 10% higher than the A8-6410, declared support for the regime Turbo Core, which is forced to mark APU 2.5GHz. Launch date processors yet unknown.